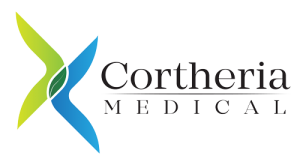 Cortheria Medical is a US based corporation born in Chicago, IL. Our sphere of expertise is focused on providing better products and helping to create better solutions for today’s problems that surgeons and patients alike face. Our wide range of expetise and depth of experience in medical devices helps us to create breezy designs of devices which makes our tools patient and physician friendly . Customer satisfaction is an indispensable part of our quality policy. Our goal is to exceed the expectations of physicians and patients by ensuring the best service from beginning to end.